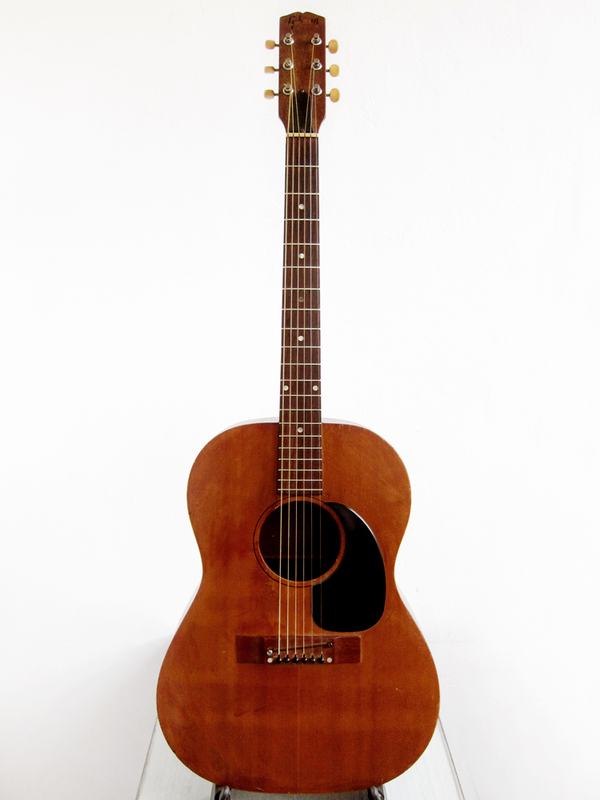 As mentioned quite a few times in the past, I’m very gay for the old round shouldered Gibson J-45 / J-50. I’m not entirely sure why, it’s not just for the amazing bass response, I think I really like the look of the round shoulders as well, it’s very woman like. I previously owned a 1970 Gibson J-50 Deluxe which sounded great but it didn’t really have the look or sound I was after so eventually I sold it to a nice older gent living in Kent, no he lived in Asturias here in Spain but he might very well have been from Kent originally. 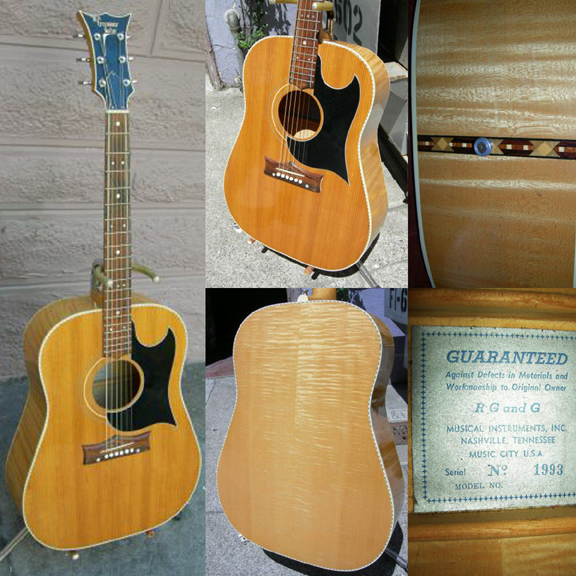 In the beginning of the year I was contacted by a seller that happened to sit on a 1965 Gibson J-45 ADJ with a natural top, apparently it was refinished in the early 1970’s. It looked exactly like the guitar I was looking for, round shouldered, small headstock with old school Kluson 3-on-a-plate machine heads and a big pickguard. The only downside was a couple of old cracks in the top and the adjustable bridge. The cracks had been fixed 45 years ago and it wasn’t that hard to carve a new bone saddle the size of the old rosewood saddle, insert and all. Finally I had my mid-1960’s round shouldered Gibson J-50, I would of course have preferred a mid-1950’s but the price difference is just insane. Even though it’s a 1965 Gibson J-45, the only difference between the J-45 a J-50 was the sunburst so with that gone it’s a 1965 Gibson J-50. As mentioned before I have been dreaming of a Gibson J-50 for years now and last week I finally managed to find one. Of course I would have preferred a 1940’s or 1950’s one but it’s hard to even afford one from the 1960’s with today’s vintage guitar prices, and I really don’t approve of the adjustable bridge they used in the mid 1960’s. They changed from round shouldered to square shouldered around 1969 and at the same time got rid of the horrible adjustable bridges. Gibson reached a lot of low marks in the late 1960’s with laminated backs and sides, plastic bridges, massive bridge plates and double X-braces to stiffen up the tops and making sure that they wouldn’t belly or break. I knew when I bought this J-50 that it might not sound like James Taylor’s, not just because it’s not a round shoulder, but also because of the double X-bracing and the general build quality of a 1970’s Gibson. Even though it doesn’t sound like James Taylor’s J-50 I really like the sound of it and it’s very pleasing on the eye too, at least for me. I love the simplicity of the small black drop shaped pickguard and the grain of the top is just amazing. It’s a Gibson J-50 Deluxe with the original Gibson Deluxe machine heads, made at the Kalamazoo plant between 1970-72, apparently it’s impossible to date it any closer. It has had a neck reset at some point and it seems like the bridge has been re-glued too, which could mean that it’s one of the earlier ones that perhaps came with an adjustable bridge and someone changed it to a normal rosewood bridge. 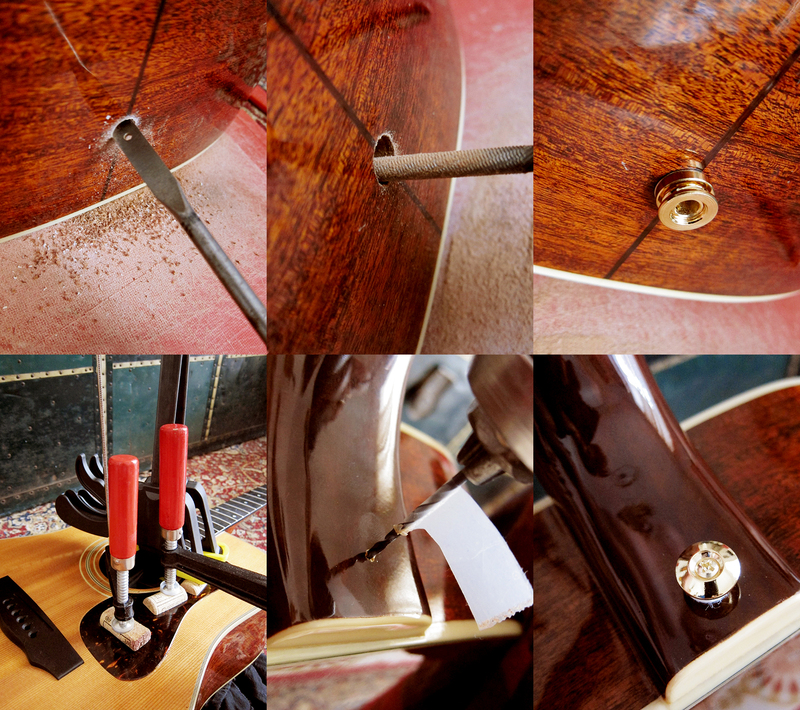 I bought the guitar from a gentleman in Oxford, England where it had lived for the past 15 years but before that it came from Oklahoma, USA, where the repairs where made at some point. The bridge plate seems to be a really thin, delicate and made of spruce, perhaps that’s been updated too since these where know for having massive tone killing blocks of wood under the bridge. It has the double X-bracing which I guess has it’s pros and cons like any other form of bracing. It’s an extremely light and well sounding guitar, I don’t know how they managed to build it so light since these are supposed to be really heavy. Gibson got tired of all the returns which cost them a lot of money so in order to increase profit they started to build their acoustics thicker and heavier until they were built like tanks and could survive any beating. These are known as the Norlin era Gibson guitars, but it’s important to remember that even though Norlin took over in 1969, the old owners CMI kept control over the Gibson production up to 1974, so I guess that’s when the real dip in quality happened. As with any vintage guitar of any brand, there are good ones and there are bad ones. Not all Levin guitars are good, but all of the 12 I have sounds amazing so perhaps some brands are more even in the quality than others. I feel that I was lucky with this Gibson J-50 Deluxe and managed to find an extremely light built and very well sounding example. I wished that the bass was a bit deeper, it still has the Gibson bass response, but since the mid range and trebles are so good I’m still very pleased with my new guitar. 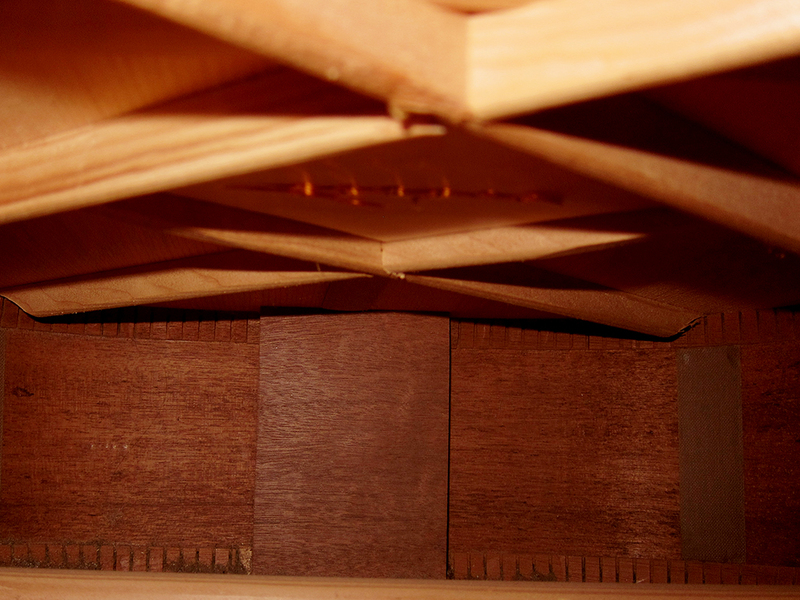 A picture of the inside, beautiful solid mahogany back and sides, with the dreaded double X-bracing. It actually sounds better than expected and since the braces are fairly thin and delicate, together with the thin spruce bridge plate, it’s a very light and resonant guitar with great sustain. Except for a little worn patch on the neck after a capo and two tiny cracks in the top where the pickguard has shrunk it’s in very good state for being 45 years old. The neck reset and general set up it had before it left Oklahoma has made it an extremely easy guitar to play with fantastic low action. It has 011 gauge strings on in the clip below, I guess with 012’s it will sound even richer. As mentioned before, there are two guitars that I really would like to own. The first would be a Gibson J-50, ideally from before 1970. 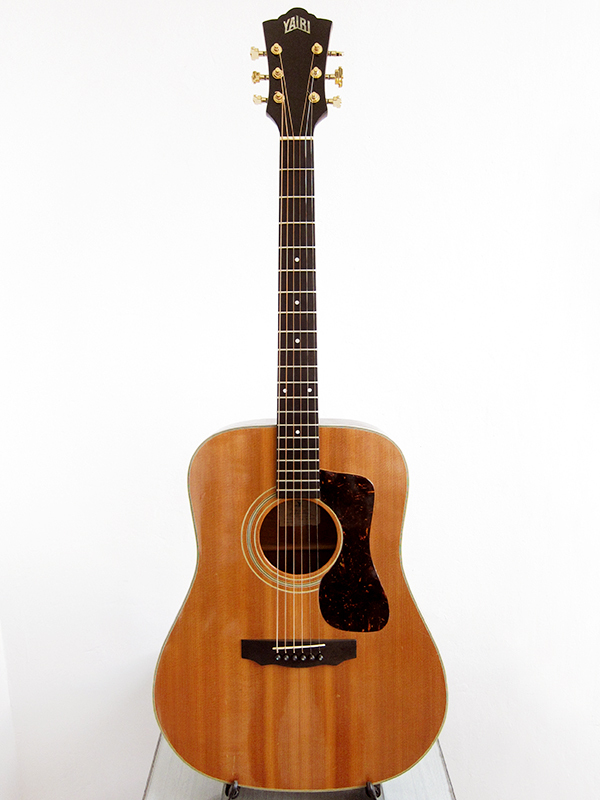 The Second would be a mid 1970’s K. Yairi YW-1000, the most beautiful Martin D-45 copy ever made. Having said that, I might have to add a third guitar in my list of holy grails, a Grammer Guitar. Imagine to find an original, before Ampeg took over, The Grammer Guitar RG&G, built by Billy and the boys in Nashville, Tennessee. Here you can read the history of the Grammer Guitar, it’s a pretty interesting story, especially if you like country music as I do. 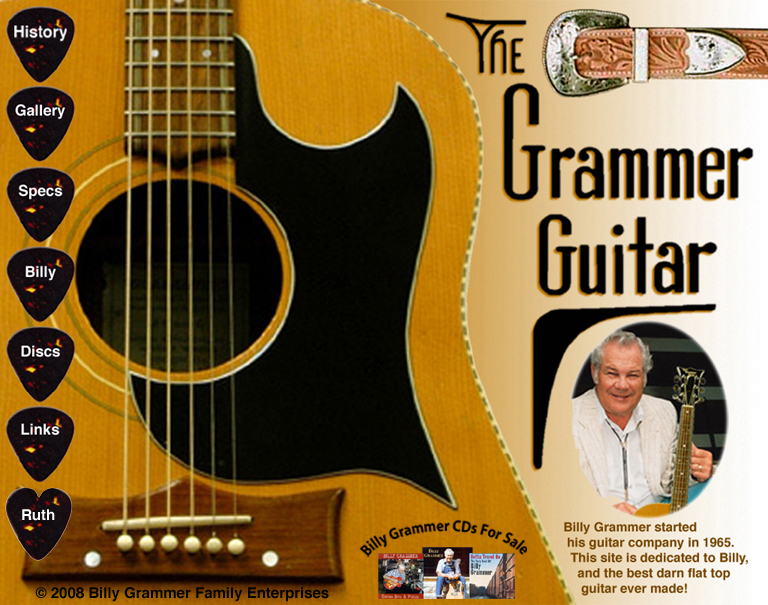 In the mid 1960’s Billy Grammer, a musician himself, decided to make an affordable flat top guitar for his friends in the Country music business. He took a Gibson J-45 and a Martin D-18 apart, studied their bracing pattern and how they were built and then made a copy with the best of both worlds, The Grammer Guitar. Maybe the reason I like them so much is because they remind me of my big headed Levin guitars from the 1970’s. I’m not much of a Joe Bonamassa fan but he plays a 1969 Grammer Johnny Cash model, I mainly respect him for taking his vintage guitars on tour and using them instead of just collection them. The Guitar Of The Week part on the Joe Bonamassa’s site is well worth a visit if you like old guitars. A year ago when I started to buy acoustic guitars I had no idea what the difference between a Gibson or Martin was or how different body shapes, models and tone woods affected the sound. I could easily have told you who was playing a Telecaster, Stratocaster or Les Paul while listening to a song but I could never have told you if someone was playing an acoustic Gibson, Guild or Martin. Over the year I have added 6 Levin guitars to my collection and 5 Japanese acoustics, two of them sold by now, and played a lot of new made Chinese and Korean guitars and I have come to following conclusion. 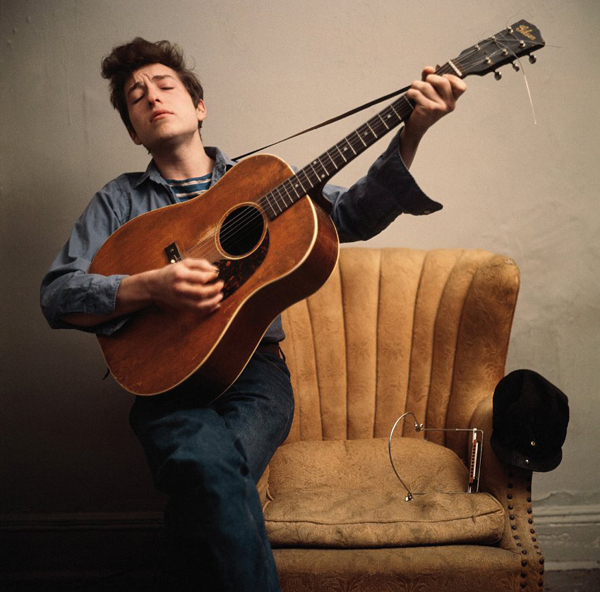 My favourite acoustic guitar is an old Gibson J-45. This is nothing new, I realised that last summer after seeing Kris Kristofferson, I did a post about it with some great acoustic guitar demo’s to prove my point. There is something very special with the old Gibson Jumbos, it doesn’t really matter if it’s a J-45, J-50, Southern Jumbo or Advanced Jumbo, they all have that special booming bass sound. If you listen to any acoustic Jackson Browne, early James Taylor or even Bob Dylan you will understand what I mean straight away. There was a lot of Country players that favoured this sound before the singer and songwriters of the Sixties and Seventies. Two modern examples that I really like is Gillian Welch and Daniel Romano, he is actually playing something more modern like a Gospel but the bass is still there. If you listen to Dan Tyminski and hear his 1946 Martin D-28 I’m sure you would want a wartime Martin straight away but still, there is something special with the Gibson Jumbo sound. I’m not even sure if I would prefer a Gibson J-45 or a J-50, actually I really like the Southern Jumbo too with their fretboard inlays, so I guess as long as it’s old, worn and sounds like a Gibson Jumbo I would be happy. I mentioned earlier that I recently ordered a 1977 K.Yairi TG-40, which I have very high hopes for. I bought it straight from Japan and unfortunately it got stuck in the Spanish customs and has been there since the 12th of April. 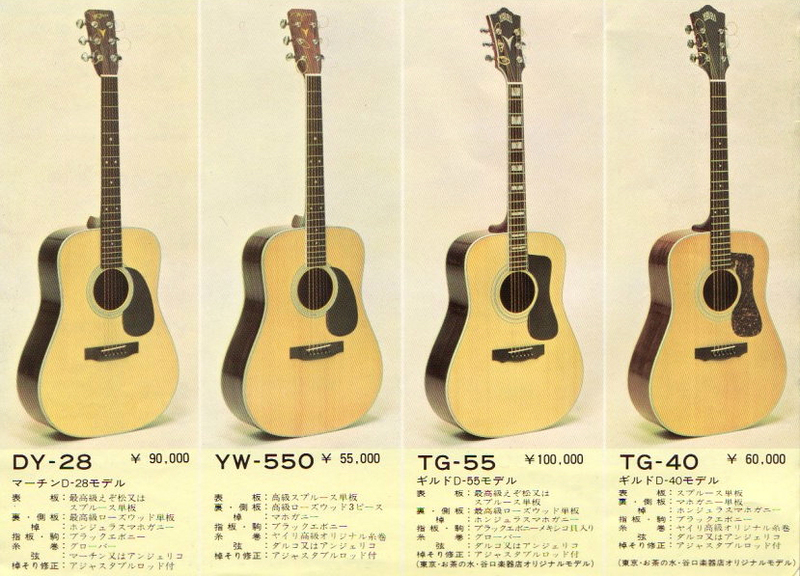 The Yairi TG-40 is a Guild D-40 copy, which was introduced in the Sixties as a competitor to Gibson’s J-45. 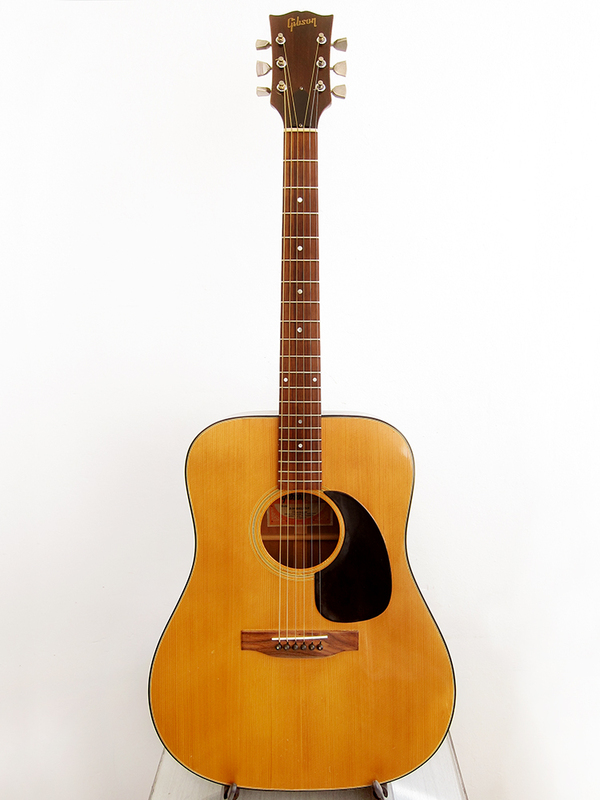 The Guild D-40 became famous as the Bluegrass guitar for their even response over all the strings and I really like the sound of them, it’s actually not too far off from a Sixties Gibson J-45. With a bit of luck the customs will release my guitar soon and with even more luck it’s going to be an awesome Yairi copy of an Guild which might sound a bit like a Gibson. 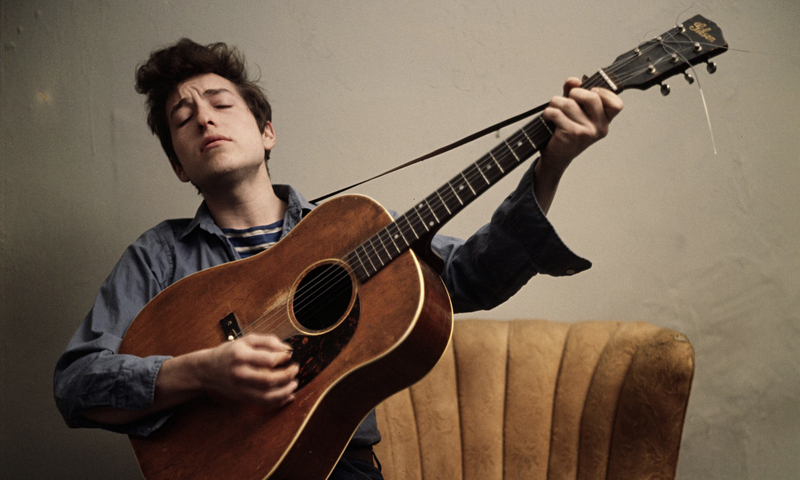 Bob Dylan with his worn old Gibson J-50 in the early Sixties. The Gibson J-45 and J-50 is more or less the same guitar, it was just that they used nicer looking wood for the soundboard on the J-50 so they wouldn’t have to paint it in sunburst to cover up any imperfections. After watching Kris Kristofferson the other day I got really curious and wanted to know what a Gibson Southern Jumbo really sounds like. I know that Jackson Browne plays a lot of these old Gibson guitars and they sound amazing when he plays them but what is the difference between a Southern Jumbo, J-50 and J-45? I’ve never played a real Gibson acoustic or a proper Martin and doubt I ever will in this town since people are so extremely unfriendly in the guitar shops here, that’s why I have to buy everything online. Luckily I managed to find these great demo’s so I could finally hear the difference between them all and unfortunately it’s not always a good thing. I’ve always loved the Hummingbirds and been looking for a Japan made copy for some time but it the originals sound this thin and boring then I’m not sure how good a copy will sound, even if it’s made in Japan. Maybe I have to rethink this again, I mean the Southern Jumbo sounds the best. Full and deep but not muffled when strummed like the SJ-200 or some of the other Jumbo’s. When I saw that awesome Youtube concert with Dan Tyminski the other day I thought that his 1946 Martin D-28 was the best sounding guitar in the world and wanted to find a copy of that, I doubt I can afford a real Martin from the 1940’s. I guess all guitar shapes have their purpose in life, I just need to find the one that is right for me.